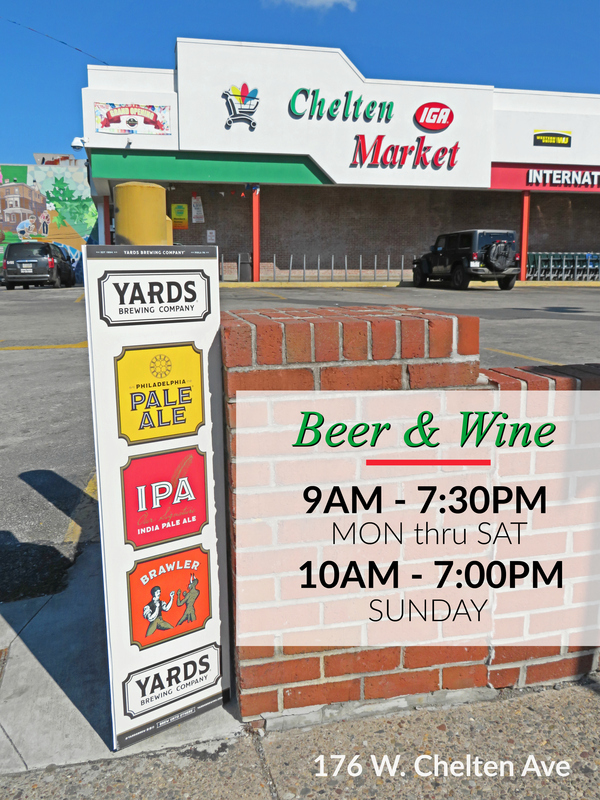 The Chelten IGA Market’s new beer and wine section opened in January to mostly positive reviews (according to Facebook – check out some of the comments below). 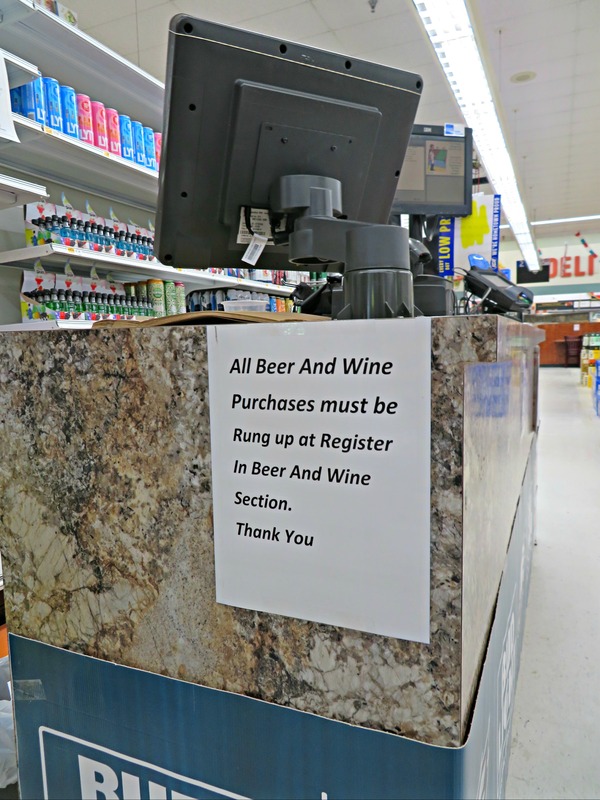 The “beer garden” space is surrounded by 6 foot walls on three sides and has a separate register and attendant to process beer sales (including a mandatory scanner for IDs). The benches and tables offer comfortable seating to lounge and socialize while enjoying a drink or two. (Note: They do not sell liquor of any kind, as per state law.) Owner Young Kim also plans to offer the space to community groups as needed for neighborhood meetings. Keep an eye out for the Grand Opening announcement soon. Frank S. Well they already have it at how many other stop and go’s/bodegas? Nathaniel W. Regardless. Why do we need more? Why does it need to be placed directly across from my high school and in the center of a intersection filled with homeless citizens and drug abusers. Tell me how appropriate this is? Nathaniel W. This…in a community that’s struggling to preserve its historical value, youth & sense of community…this just put us a few steps backwards. Jesse N. Y’all had nearly a year of the bright orange application in the window. This is not a step backward. This whole thing of supermarkets selling beer isn’t a city thing in the first place. Wegmans started it in Pennsylvania and the beer distributors union fought them tooth and nail. 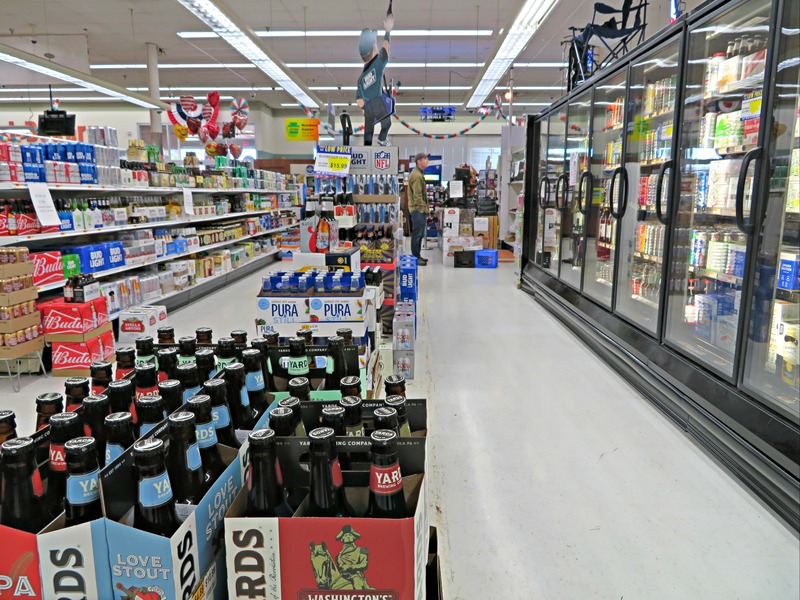 A supermarket selling beer is definitely better than a corner store (stop and go) doing it. As the market will not have the crowd hanging out in the store like the stop and go would. Pick your battles. This one is not it. Nathaniel W. Our battle is with it being advertised within 10 feet of a high school…not whether it should be sold in a grocery store or not. Also, where is the statistic that shows that young people, starting at ages, let’s say, 16, will decide to go to a supermarket to illegally buy alcohol rather than shop at their closest convenience stores? Frank S. Just going off assumptions here, but they’re far more likely to go to a sketchy corner store that doesn’t card than a semi-reputable grocery store. Maybe I’m wrong, but I just really don’t see this as an issue as long as they’re operating within the law. Nathaniel W. Because tbh, I’d say it’s easier to fool a smaller business so they’d remain and attract their regulars, than to fool a grocery store employee who will most definitely lose their job if they sell alcohol to a minor. Young people of color form bonds with bodegas. We are raised with 3 and 4 stores that we regularly buy from. A relationship is built that small businesses owned by Hispanics and Chinese can’t afford to lose if they refuse to sell, or “snitch” on someone buying alcohol. In my 20 years, I have seen it. Have never done it. But that is that sad truth in Germantown and urban areas. Jesse N. Nathaniel Wilkerson IV it’s not within 10 feet even by a generous stretch of the imagination regarding the width of Wayne ave. So that concern doesn’t matter. It’s no closer to the school than park manor deli. Daniel N. The fact is that legal substances are much better regulated and controlled–ask any kid in high school today what is easier to buy alcohol or drugs and they will all tell you drugs. Dealers don’t ID. This is a non-issue when the deadly and destructive War on “Drugs” is still raging in our community. Henry J. Yes, someone who just wants to get drunk can already do that with the two state liquor stores. They can also go to Victor’s Tavern (literally across the street from IGA), they can go to the deli on Chelten, etc. 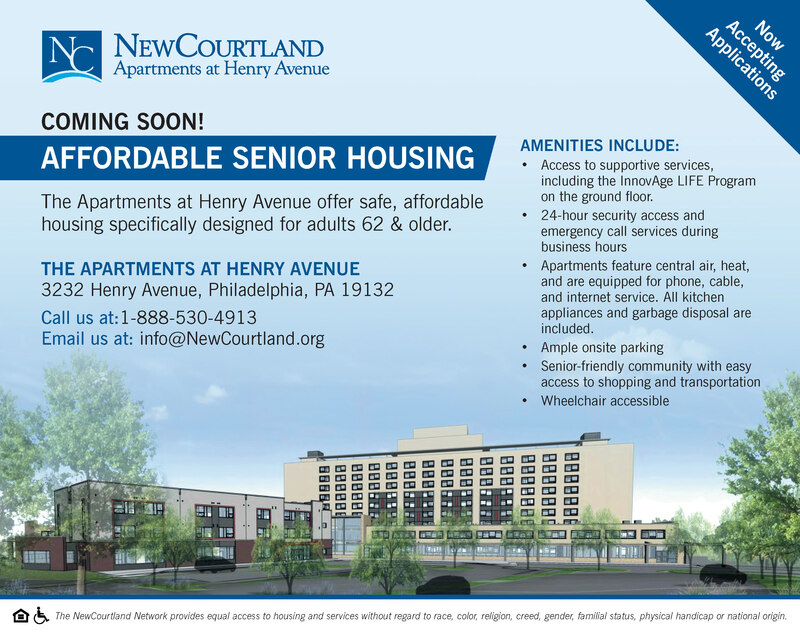 However, for residents who aren’t just trying to get drunk but would actually like choices in what they drink, this is a great improvement and an added convenience. Variety of craft beers at IGA will in no way contribute to existing substance abuse problems and alcoholism in our community. Those are entirely separate issues. Bernard J.L. 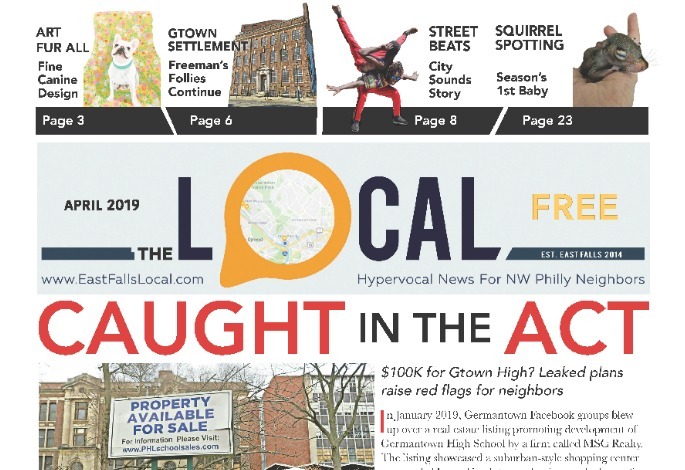 This is what Changing Germantown is all about, bringing neighbors out again to shop within its borders. Only leaving when necessary, to shop down town or out at a mall. This is how Germantown used to be, we can have that again, I’m looking forward to it. 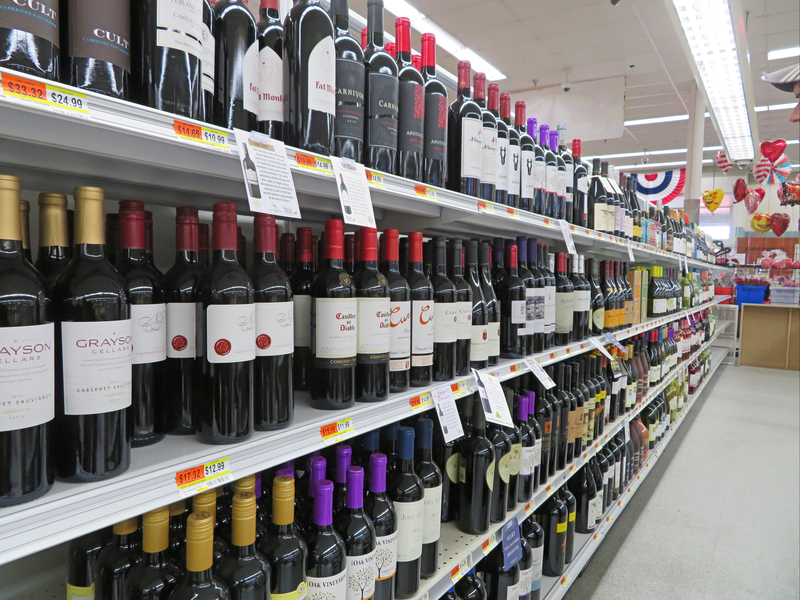 By law, supermarkets can only offer Beer & Wine — no “hard” liquor is sold here!